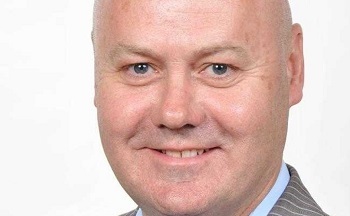 Audit and advisory firm PricewaterhouseCoopers LLP (PwC) has announced the appointment of Belfast-born and educated man, Martyn Curragh, as Chief Financial Officer for the firm in the United States, one of the biggest jobs in global financial services. Mr Curragh, who takes up post on 1 July, has been with PwC for more than 20 years, working first in Northern Ireland before moving to the US in 1998, where he is based in New York. Currently PwC's US Deals Leader, a position he took on in 2010, he is responsible for over 1,000 staff who advise clients throughout the entire lifecycle of a transaction. Martyn Curragh has a wide experience of global and cross border deals, serving private equity and corporate clients in the USA and around the world, across industries including media and publishing, consumer products and retail. A family man and a Fellow of the Institute of Chartered Accountants in Ireland, Martyn Curragh attended Grosvenor High School in East Belfast before undertaking his degree at Queen's. After graduating in 1985, he worked at Invest NI’s predecessor body, the Industrial Development Board, before a period at the Northern (now Danske) Bank. Commenting on his appointment, PwC said: "Martyn has distinguished himself as a seasoned deal specialist with extensive experience in global and cross border deals, having served numerous private equity and corporate clients in the US and around the world." PwC operates a global network of firms in 157 countries, employing over 208,000 people in assurance, advisory and tax services.